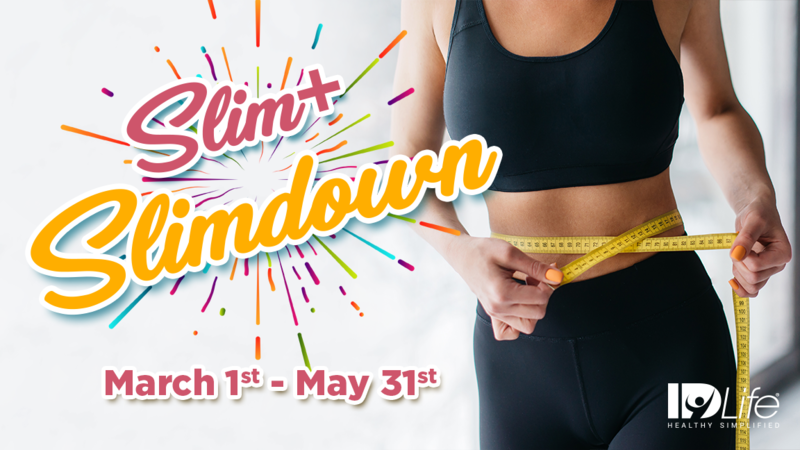 The Slim+ Slim Down Challenge, Summer edition is here! There’s no better time to start thinking about that summer swim suit, and what better way to do it than to win some money getting in shape! Set your goals and get ready to work hard! We’ll be selecting the top five men and top five women that have shown the most progress toward their goals during the 90-day contest period. The top 3 will win cash! 2. Snap a “before” photo with the IDLife code word Summer visible and submit it Here any time before the end of the contest May 31st. 4. Stay connected with IDLife via social media for support & tips. Click here to join our Slim+ Slimdown Facebook group. 5. Submit your “after” photos with the IDLife code words visible by the deadline.